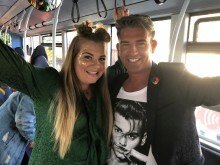 Festival-goers to this year’s Sunderland Pride got more than they bargained for when boarding Go North East’s Pride bus, enjoying fun face painting, glitter art and a caricaturist. This year’s festival, hailed the ‘best year yet’, took place on Sunday 23 September, with hundreds of people taking to the streets of the city to mark the North East event which celebrates local gay, lesbian, bisexual and transgender communities. 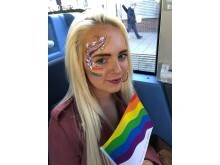 Committed to championing diversity in the region, Go North East proudly participated in proceedings with its Sunderland Pride bus – which bears the words ‘love, proud, carefree, unity and bold’ and the banner ‘Pride in transport, building communities together, celebrating diversity’. 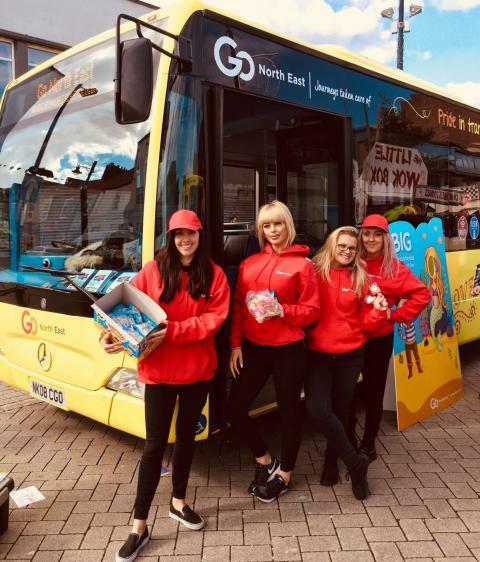 This year’s Sunderland Pride kickstarted with a parade from the Civic Centre to Park Lane, with Go North East team members joining the procession and flying their rainbow flag, before the brightly coloured bus parked up and entertained guests with activities the whole family could enjoy. One of two Pride buses in the operator’s fleet, the Wearside vehicle joined the Tyneside version in autumn last year, following an investment of £10million into new vehicles and upgrades.